A tertiary bursary is awarded for study after high school at TVET colleges, Universities of Technology and Universities. 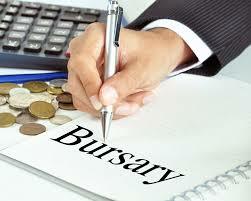 There are several different types of bursaries awarded for selected reasons. These reasons may include academic excellence, special talent, categories of people – racial, religious categories, gender or disabilities and financial need. It is important to read carefully the type of person the bursar is looking for.